Every place got a story, but this one needs more attention than most. Here’s the story. 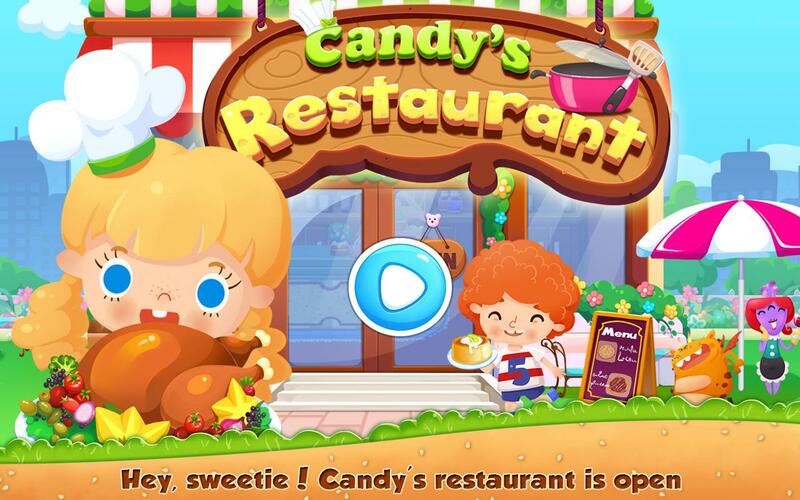 Our sweetie Candy has opened a restaurant in town, which attracts many foodies. Never got a Michelin-star though, this place has won a good reputation for its tasty foods and warm service. However, she feels a little overwhelmed recently, for the increasing number of customers keeps her two hands more than full. She really needs a sue chef’s help to take a break. We see the passion for cooking in your eyes, so do you think you can do this? Are you desperate to cook but concerned that you may make a mess, or afraid of hot stoves and sharp knives? Budding chef, dear. Don’t worry, here you can cook freely without being troubled by those things. You’ll be more than happy to make some handsome foods to sink the customer’s teeth into grand feasts. The fantastic experience not just lies in cooking, but also in decorating and cleaning. Even dressing Candy will be a great joy. It’s not easy to run a business, but trust us, you can definitely nail it. 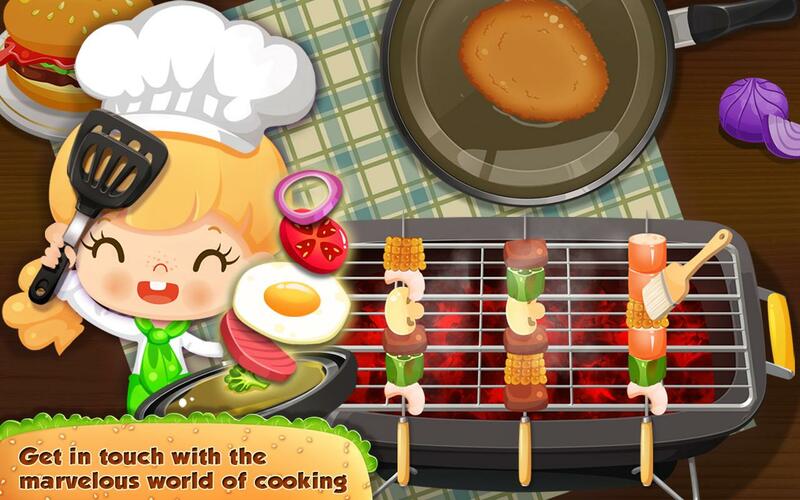 Honey, this is a place where cooking is no longer a have to do thing, but a pleasure. Let’s take it to an art form! Open the game, your first view will be the well-decorated lobby. See! The customer’s already here, let’s take his order. Click him to check the information related to the dish, which includes the picture and cooking steps. With carefully chosen ingredients and superb kitchen utensils, you can make a visually stunning and great tasting dish for sure. As you know every chef has his signature dish, it’s also true that every restaurant has its secret recipe, which can be found on the right top. 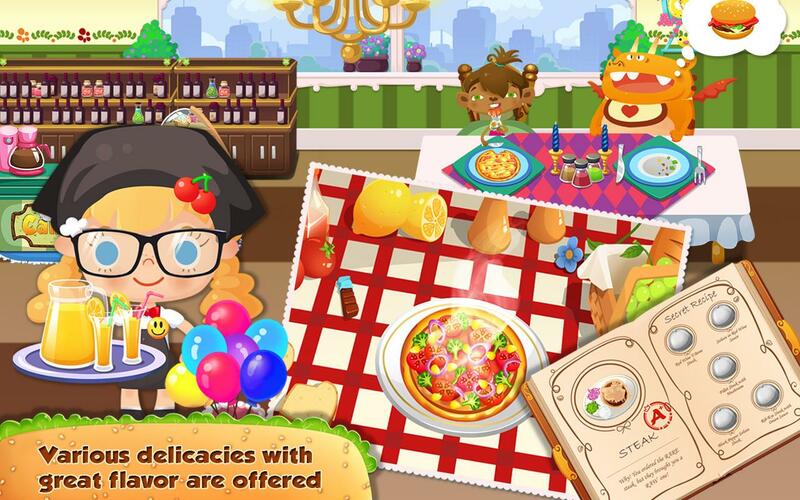 There are 5 secret recipes for each kind of food to be discovered. Exciting, huh? To a chef, there’s no place like restaurant, so you must want to improve this place more than anyone else. Now, wish granted! Each time you make a dish, you’ll be awarded a loving heart, with which you can exchange for some top-notch decorations to beautify this place. You can click the loving heart icon on the top right to have a look. Wow~ that clean cart is so nice, let’s work hard for it. Because you know, keeping this place in a clean and sanitary condition is also part of your job. Oh~ our dear is a little bit upset, hurry to check on her. Ah, she got no time to change her clothes the whole day, so why don’t you give her a makeover?